A white southern mayor confronts the history in his city. "There is a difference between remembrance of history and reverence of it," said New Orleans Mayor Mitch Landrieu in his now-famous speech in May of 2017. As Landrieu said those words, city workers a few blocks away uprooted an enormous statue of Robert E. Lee – the last of four Confederate monuments the mayor removed from the city after a years-long process. In a conversation with The Atlantic's editor in chief Jeffrey Goldberg, Landrieu discusses the politics of race in the south, his grappling with history as a white southerner, and his own family’s connection to the story of civil rights in America. I miss the days when I had a seemingly unending backlog of episodes to listen to. Now I just wait with bated breath for them to be released. I love extended interviews on small topics like this one. This does a really good job of taking a look at some of the broader details behind removing Confederate statues in New Orleans. 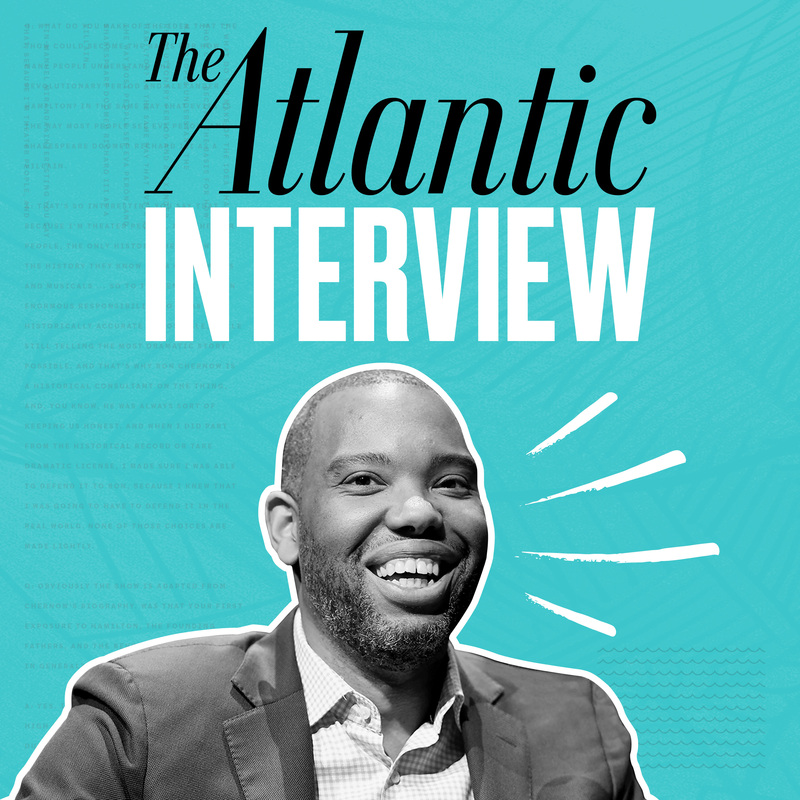 The growing prominence of The Atlantic's national correspondent Ta-Nehisi Coates means that he's often asked to comment on matters on which he lacks expertise, but he demurs. In a conversation with The Atlantic's editor in chief Jeffrey Goldberg, recorded in front of an audience at South by Southwest in Austin, Coates explains why he isn't interested in interviewing Donald Trump, why he cannot use Twitter ever again, and how his complicated feelings about America inflect his writing for Captain America. As ever, an interesting conversation on The Atlantic Interview. Israeli chef Mike Solomonov recently won the James Beard Award for outstanding chef. He created the restaurant Zahav in Philadelphia, built a food empire, and expertly hid a drug addiction from everyone in his life. He talks with Jeffrey Goldberg, the Atlantic's editor in chief, about what he felt when his brother was killed, and how the tragedy first fueled and then helped him fight his addiction. Now in a long recovery, he cooks Israeli food as a kind of cultural mission. A very interesting human story hiding behind a food “celebrity”. We definitely need more people like this in our culture helping to diversify interesting things in our lives. Mollie Hemingway, a senior editor for the Federalist and Fox News contributor, finds most of the media's histrionics over President Donald Trump to be overblown. While she won't let her kids listen to the president's most vulgar remarks, she's willing to defend his policies and his record, a fact which has cost her some friends. She talks to Jeffrey Goldberg, the Atlantic's editor in chief, about where she finds Trump most effective, and what his successes mean for American politics. An awesome policy-focused and interview-based podcasts from one of the premiere news outlets of our day. 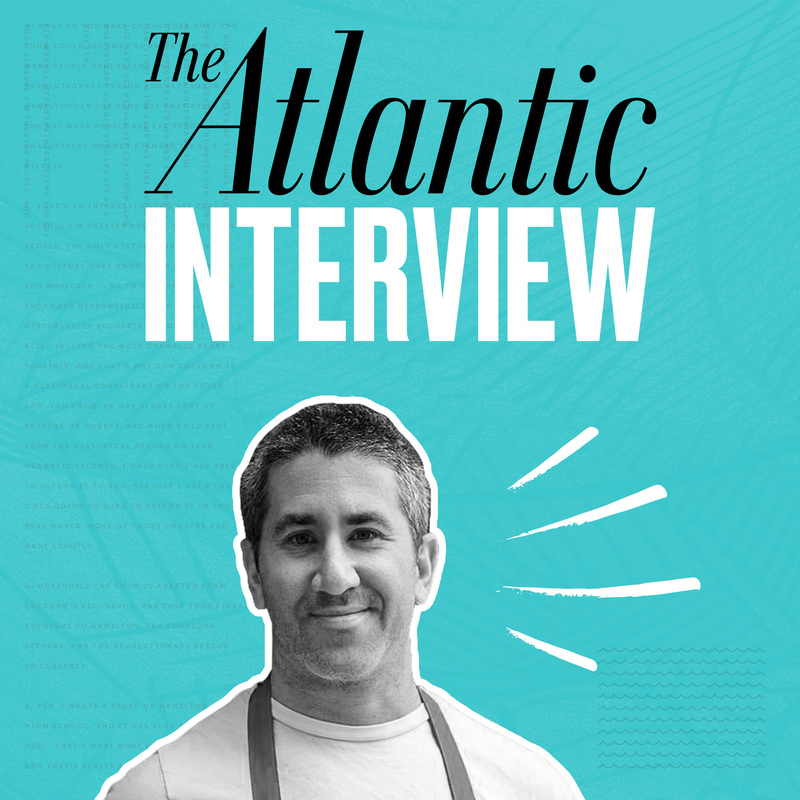 I’ve now listened to a dozen of the opening episodes of The Atlantic Interview and am enamored. It’s officially ensconced at the top of my regular rotation. The weekly show, hosted by Jeffrey Goldberg, The Atlantic⁮’s editor in chief, features him doing a relatively in-depth interview of a single guest for about thirty minutes. I almost look at this podcast as a far better version of some of the “Sunday shows” where the guest isn’t always so heavily guarded because it would be impolitic or that they’re lost in a sea of voices amongst a larger panel where they just can’t develop some longer coherent thoughts or theses. To some extent, this podcast is starting to fill a hole in my daily schedule that was created by the disappearance of The Charlie Rose show late last year. The sad part is that, at only once a week, I’m going to wish I had a lot more when I’m done binge-listening to the short backlog I’ve got. On The Atlantic Interview I appreciate that the “thing guests may be selling” (book, article, show, film, etc.) takes a pointed back seat to the broader topic(s) at hand. Much of the strength of what I’ve heard thus far stems from interviews with people that are slightly off the beaten path, but with serious messages and interesting viewpoints. They’ve all been journalisticly solid and almost always provide me with news, viewpoints, and subtle information that I didn’t have before. Another strength is that the show can give guests additional time and depth than they might receive on other traditional shows. The guests so far have been very smart, cogent, and interesting. Their selection has been well balanced for gender, topic, and general variety within the space the show occupies. The show has generally impeccable audio and production values. While initial guests seem to have an air of familiarity with the host as the result of closer (disclosed) interpersonal connections, I suspect that even when the list of immediate friends in his Rolodex runs dry, the show will easily have enough value and gravitas to successfully run on long beyond this. One of my favorite parts of these podcasts are the somewhat snarky bumpers that Goldberg puts onto the the end encouraging people to give reviews and subscribe. I kind of wish he’d let loose a bit more and inject some of this kind of snark into the interviews too. If nothing else, he’s at least having fun with a part of the show that would otherwise be typically painful to trudge through. I’d love to hear more about education policy, health care, public heath, internet, and foreign policy. A few guest ideas I’d love to hear in this format: Tressie McMillan Cottom, Mike Morrell, Susan J. Fowler, César A. Hidalgo, Tantek Çelik, Ellen J. MacKenzie, and Ezekiel Emanuel. Continuing in the vein of interviewing the interviewers, which I find terrifically fascinating, I’d love to see Judy Woodruff, Fareed Zakaria, W. Kamau Bell, Trevor Noah, and John Dickerson in the future. These aside, I suspect that anyone that Mssr. Goldberg finds intriguing, I’m sure I will as well. I really wish their podcast had individual web pages for each episode so I could more easily email, share, or target individual episodes for people. It would also be nice if the main page actually had .mp3 versions of the audio embedded in them to make it easier to bookmark and share through services like Huffduffer.com. I really don’t know why podcasters insist on using third party podcasting services to hide their .mp3 files from the outside world–it’s literally their most important product! Stop it! I find the practice to be as irksome as newspapers that use Facebook as their primary means of distribution, and just like that case, they’ll regret it in the long run. While Megaphone.fm is a nice hosting platform for the show, I’m not sure why a publication the size and scope of The Atlantic isn’t simply self-hosing their own content using their own URLs. The content for the show is still a bit scatter-brained. The main page on The Atlantic has the best and most comprehensive meta-descriptions of episodes, while the Megaphone page has some nice individual episode artwork that The Atlantic doesn’t have or present. This is sure to cause uneven experiences for people depending on how they choose to subscribe. I appreciate that some of the early episodes went to the trouble to have full transcripts and some additional snippet content and images. I miss these transcripts. I do know that doing this can be painful and expensive, though perhaps services like Gretta.com might have some technology to help. If they want to go crazy, it would be cool to see Audiogram functionality, which they could use instead of relying on Megaphone or some other platform. Wherein Jeffrey Goldberg right properly suckers Robert Siegel into recording bumpers and intros for his new podcast. Siegel gives an interesting interview the day after he leaves NPR, though I hope that he get’s re-interviewed again when he’s “old” and doesn’t care anymore. One of my favorite parts of these podcasts are the somewhat snarky bumpers Jeffrey Goldberg puts onto the the end encouraging people to give reviews and subscribe. I kind of wish he’d let loose a bit more and inject some of this kind of snark into the interviews too. I feel like the first 5 minutes of the interview were missing. Compared to others in the series, this particular episode was awfully bland. I suspect it’s the case that CEOs rarely ever make good interviews because they’re generally hamstrung in what they can and can’t say in settings like these. The Atlantic's editor in chief Jeffrey Goldberg talks with the CNN anchor Jake Tapper about learning from mistakes in journalism, watching the media destroy someone you know, and what President Trump is getting right. Some interesting insight on Tapper’s sense of fairness here. I appreciate the level of comfort between the two participants here and it’s interesting to hear about their personal relationship a bit as context as well. My favorite part was the revelation of Tapper’s brief relationship with Monica Lewinsky and how he viewed her treatment in the media as a result of the experience. It certainly reminds us all that the world needs more humanizing instead of less. Jeffrey Goldberg, editor-in-chief, talks about America's unequal education system with journalist Nikole Hannah-Jones. How much progress has been really made since Brown v. Board of Education in giving black kids access to equal schooling as white kids? Far from enough, Hannah-Jones has found. And she has some concrete—but difficult—ideas for fixing it. This may be my favorite interview of the series so far. There’s so much to unpack here that the discussion should probably have gone on for a few more hours. The differences in how this issue differ in various parts of the country make it a difficult problem to handle. My initial inclination is that one cannot (easily) have a government take over of private schools. To equal the playing field however, one could completely defund private schools and force them to live on their own steam. This would potentially free up a pocket of money that could go to improving better integrated and un-gerrymandered schools. I suspect the economic forces would help level the playing fields, though a tremendous amount of work would still be required as follow up. I’ll have to revisit the issue, but I have a feeling that the public good built into public schools and hospitals creates a different “market” than the traditional capitalistic ones because the root of these institutions is to build a “public good” which is hampered by the infrastructure costs of otherwise allowing directly competitive forces to create an equal access market. I do find it interesting that in the Los Angeles area I have the option of almost 20+ potential schools while when I lived in Georgia and South Carolina there was really only ever one real option (without a tremendous amount of travel) for school choice. I love Nikole Hannah-Jones‘s perspective and want to read more of her material. Fortunately she’s got a really interesting looking website, which should make doing so a whole lot easier. I hope others do as well as this short interview barely scratches the surface of what looks like some awesome thought. Author and activist Masha Gessen’s new book about Russia won the 2017 National Book Award for nonfiction. The Atlantic's editor in chief Jeffrey Goldberg talks with Gessen about what Vladimir Putin wants, what Donald Trump’s election means, and how Americans should think about Russia's interference in 2016. A stunning interview on Russia and how it relates to world politics. I’m ordering Gessen’s book The Future Is History: How Totalitarianism Reclaimed Russia.